As a non-native Idahoan, I often don’t know whether to love or hate Idaho. This past memorial day weekend dawned rainy, nasty, cold, about 34 degrees or so. The rest of the country was probably basking in glorious sunlight, kicking off summer with barbecues and such, while we were still enjoying six more weeks of winter. Marty and I were trying to salvage what we could of our Saturday, pulling some weeds in the garden, when our friend Alex Hartman showed up with a gift — fresh morel mushrooms, harvested from the forests of Idaho. Turns out that cold, dank, rainy springs are just what the morels love! 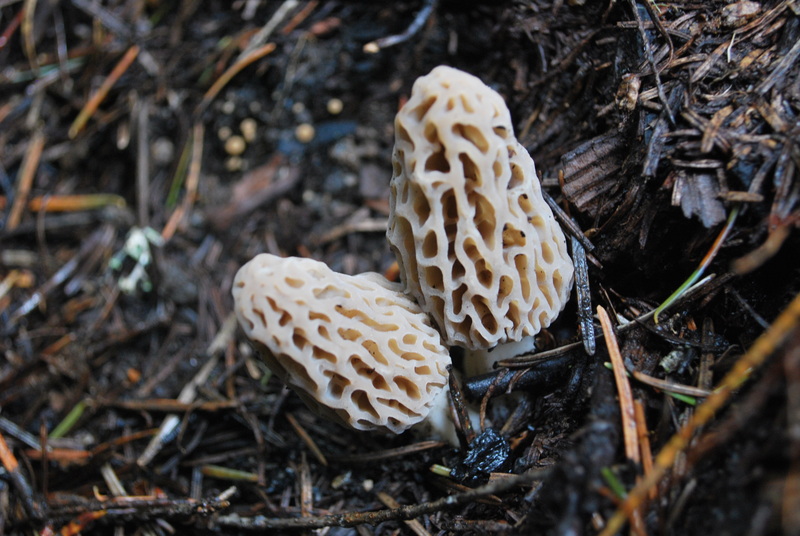 With a few insider tips from Alex, we set off on our virgin morel hunting expedition the next day. 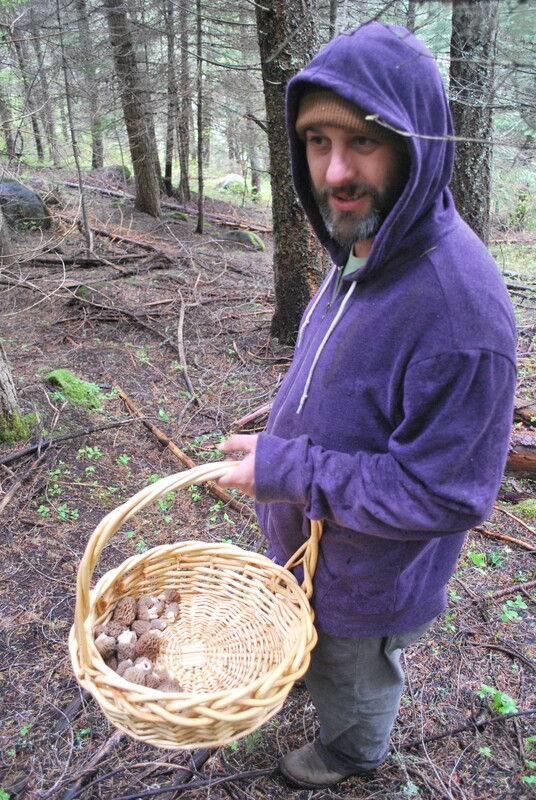 For the mushroom virgin, and/or non-Idahoan, hunting wild mushrooms is a mystical operation, shrouded in secrecy. I’ve heard stories of people taking people blindfolded into the forest, so they won’t be able to reveal a favorite morel hunting spot. Well, we found them easily enough, so let me fill you in on some basics. Alex basically told us to go north on one of several roads out of Boise into the mountains, no higher than 4000 feet at this point in the season. As the weather warms, you’ll be able to find mushrooms at higher elevations. From another mushroom hunting expedition with Alex last summer, for porcinis, I remembered that we’d found most of the mushrooms on shady forest floors with little undergrowth. It would be hard to find them amongst too much underbrush anyway, so I headed for a shady, heavily canopied pine grove with its dark, rich soil mostly visible beneath my feet, and searched the ground for anything lighter in color than the surrounding soil. It wasn’t long before our first morel popped out at me! Morels on the forest floor! Once we’d found the first one, lots more popped into sight in the same area. Your eyes will begin to tune into the mushrooms and where you first didn’t see anything will now be mushrooms. 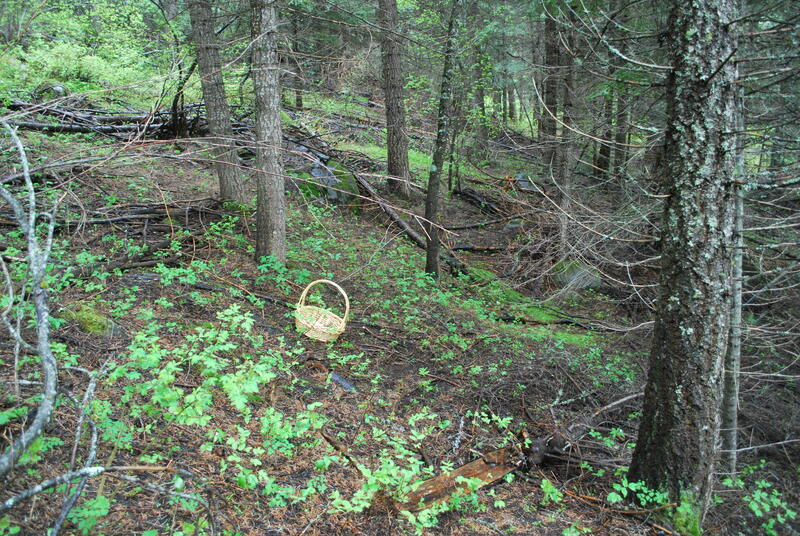 We notice that the area also had lots of wildlife sign — poo, footprints, beds of deer, elk, and bobcat. Our area had recently had the underbrush cleared and burned and local lore tells us that morels come up after a burn. Once we’d identified our target mushroom area, we spent about an hour hunting and came up with almost a pound of morels. Not bad for first timers! But I’m sure we overlooked plenty, and only searched a tiny corner of forest! Which is why I don’t really understand why mushroom hunting must be kept a secretive process. The forest is huge! We don’t have time to find all the mushrooms that there are! There are some for you up there, too! Go find them! 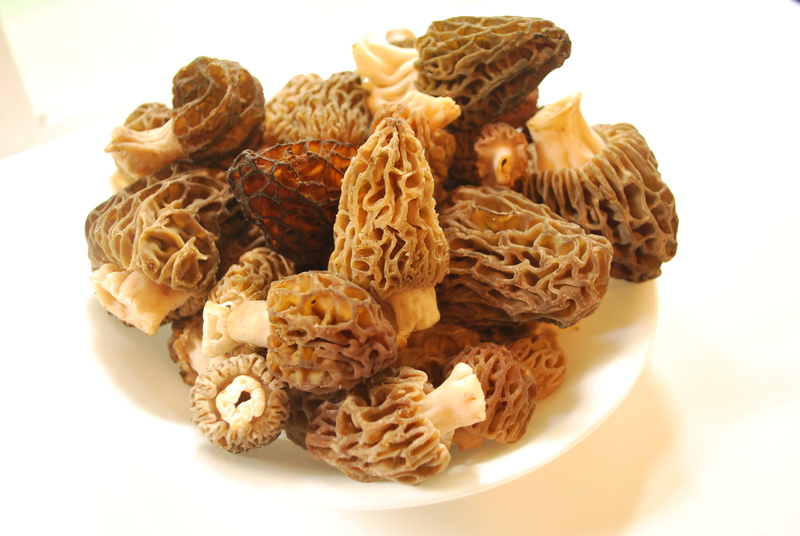 We’re off on our second morel hunt this morning, so stay tuned for more updates and recipes! 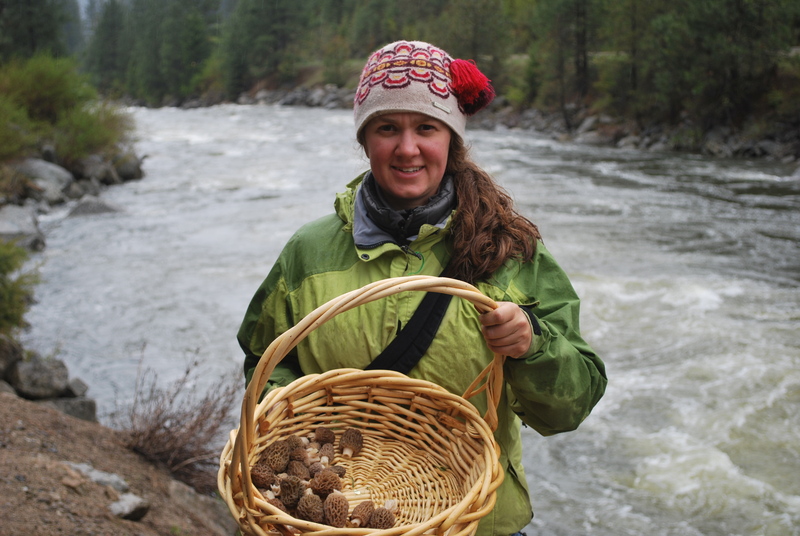 Tags: Idaho, Katie Painter, Morel Habitat, morel mushrooms. Bookmark the permalink.